So at the end of July, we are going to pick a couple of our favorite images of the day and make them the images of the month. We have really enjoyed looking at our days through the lens of a camera . . . it has been a great way to embrace the every day. 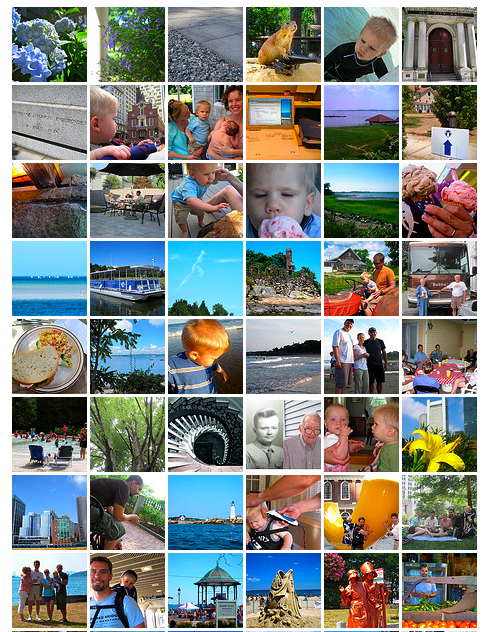 Would you take a minute and either page through the blogs tagged “summer” or head over to our Flickr album? Tell us what images you like best. You could comment on a picture on this post, on the original post or over on Flickr . . . and then we will have a little poll as to which image should be the image of the month. Just a little summer fun – would love if you would join in! The haircut photo…absolutely the best. I’m glad to see you celebrating summer… and little adventures. Exploring is definitely a favorite past time of mine, so it’s fun to see someone else looking for little bits of joy along the way. Enjoy your summer!